On Wednesday, November 26th, the Library will close early at 5:00 p.m. 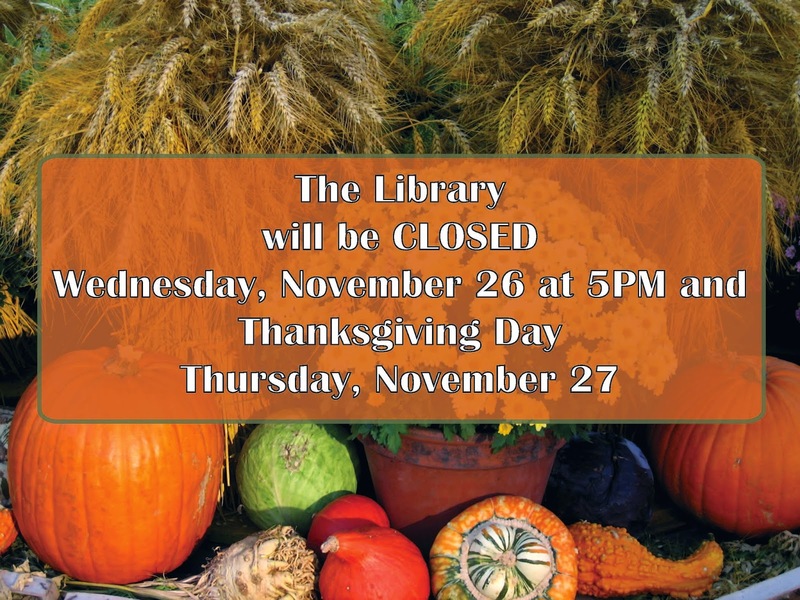 The Library will be closed all day Thursday, November 27th, for the Thanksgiving holiday. We will re-open Friday, November 28th, at 9:30 a.m.
Drop in today to stock up on books, movies and music for the holiday weekend - and remember, your Library is always open at http://www.roselle.lib.il.us.